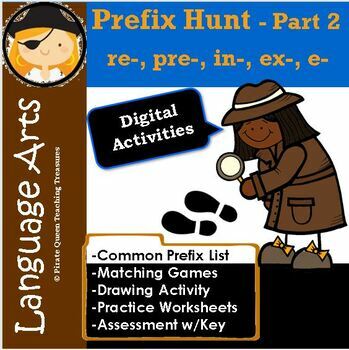 On the Hunt for Prefixes Part 2/ re-, pre-, in-, ex-, e-. 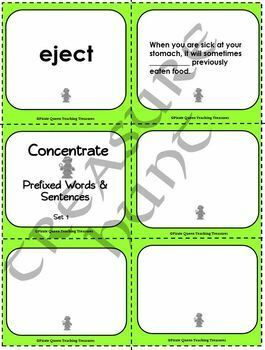 Use this revised and improved product to teach the prefixes: re-, pre-, in-, ex-, e-. 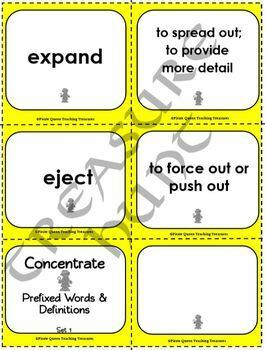 To provide multiple interaction with these prefixes, there are three sets of prefixed words with a variety of activities. guide, to the meaning of the words. 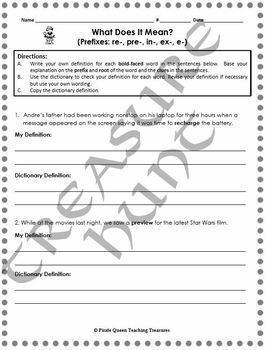 Finally, an assessment with prefixed words, not previously studied, requires students to answer questions based on the meaning of these words and the context in which they are used. For more vocabulary treasure, click here.